Shenzhen based smartphone manufacturer Coolpad has launched a new budget smartphone, the Coolpad Cool 3 in India. This smartphone comes with decent specifications and comes at a attractive price. The company already launched three smartphones in India in December, the Coolpad Mega 5, Coolpad Mega 5C, and the Coolpad Mega 5M. All the three smartphones were also introduced in the budget segment in India. Now a new smartphone by the company has arrived targeted towards a select audience in India. 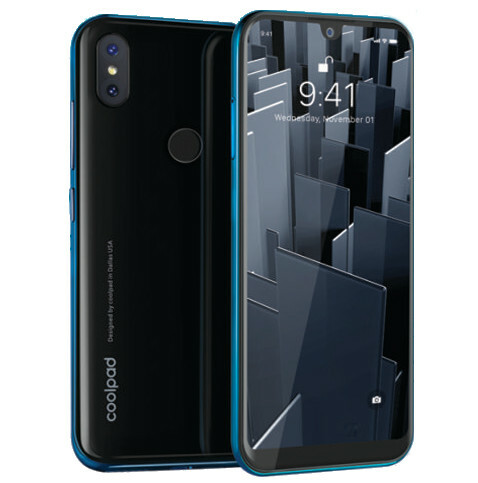 The Coolpad Cool 3 sports a 5.71-inch HD+(1500×720 pixels) display with tear-drop notch and minimum bezels. This tear-drop or water-drop notch house a single 5-megapixel sensor. It features a dual camera setup at the rear consisting of 8-megapixel + 0.3-megapixel sensors. The vertical camera positioning also houses a LED flash sandwiched between the camera lenses. The device is powered by an octa-core Unisoc chipset clocked at 1.3GHz. This is paired with 2GB of RAM and 16GB of internal storage(expandable via microSD card up to 128GB). The smartphone runs on Android 9.0 Pie and comes with a 3,000 mAh battery. However, the device doesnt come with any fast charging support. It sports a fingerprint sensor at the rear and also has facial unlock capability. The phone also comes with dual-SIM support, 4G VoLTE, Wi-Fi, Bluetooth and GPS support. Other than this, the Coolpad Cool 3 will be available in three colour options, the Ruby Blue, Ocean Indigo, Midnight Blue, and Teal Green. The smartphone is priced at just Rs. 5,999 for the 2GB RAM and 16GB storage variant and comes with only one RAM and memory option.There are no details from the company about the first sale or availability of the device but once they are out, we’ll soon update you on the same if. Stay Tuned for more updates on Coolpad Cool 3 and also Subscribe to Our YouTube Channel Gadget Gig For Latest News, Reviews, Unboxing and Tips/Tricks.